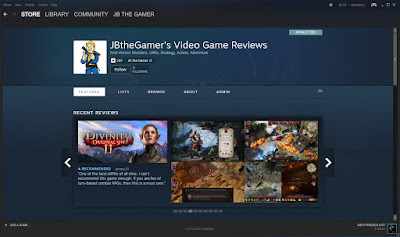 On this day a year ago I started JB The Gamer's Blog. Wow, can't believe a year has gone by since I started this. Anyway, I just wanted to thank everyone who has read my posts in the last year. Video Games are my passion, so I like to talk about them and express my opinions about gaming. A year ago I started this blog slowly, and only posted a few things here and there. As time has gone by I have posted more and more, as well as add to the content of this blog. In 2016 I started to do reviews, post videos of game play, and even stream live. My goal with this blog and will always be to just express my thoughts on video games and the video game culture. Thanks again for reading my posts and/or viewing the other content I produce. I look forward to another year on JB The Gamer's Blog.